Baking bread has always been my first love and I would often bake a loaf or two when good quality bread was difficult to find. But now with so many wonderful bakeries in my area, there's no longer the need. That doesn't mean that every now and then I don't get the urge to get my hands into some dough. Challah is one of the easiest breads to make. It can be made in an afternoon, but I prefer to break it up over two days. Not only does this give the bread time to develop a more complex flavor, it also makes my involvement easier. This recipe will yield 2 loaves; one to enjoy now and one for the freezer. Like all breads, it freezes beautifully. I added a pinch of saffron to enhance it's pretty yellow color, but you can omit it if you prefer. 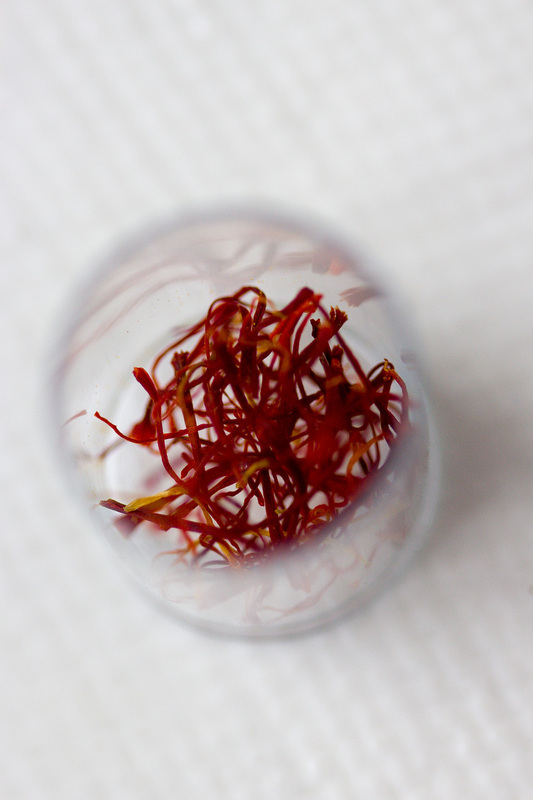 Crush saffron with the back of a spoon and add to 1/2 cup hot water. 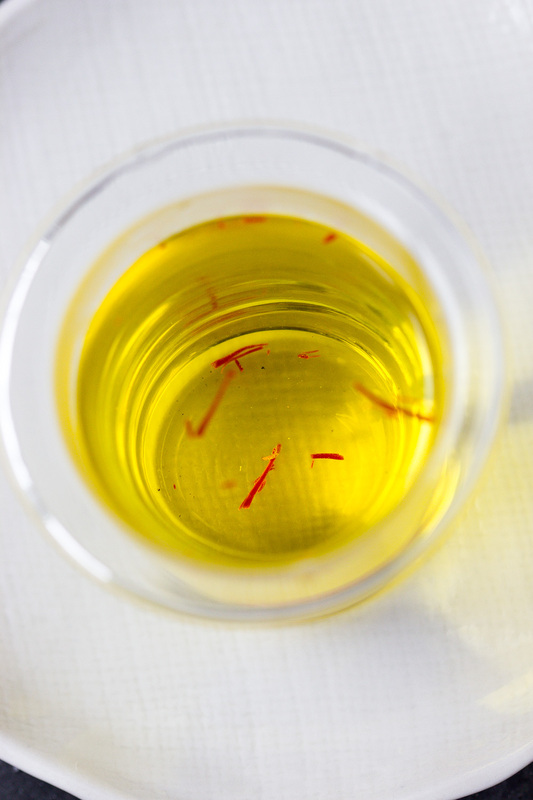 Set aside for 5-10 minutes until the saffron is dissolved. Cool slightly. Pour the remaining 1 cup water (that is 110F-115F) into a small bowl. Add 2 t. sugar and sprinkle the yeast on top. Set aside for 5 minutes to proof. In a medium bowl, mix saffron water, honey, oil, and eggs. In the bowl of a stand mixer fitted with the paddle attachment, add flour and salt. Once the yeast has proofed (it will become foamy), add it immediately to the flour, followed by the wet ingredients, and mix on medium low speed until just combined. Switch to the dough hook and knead on medium low until smooth, scraping the bowl from time to time. 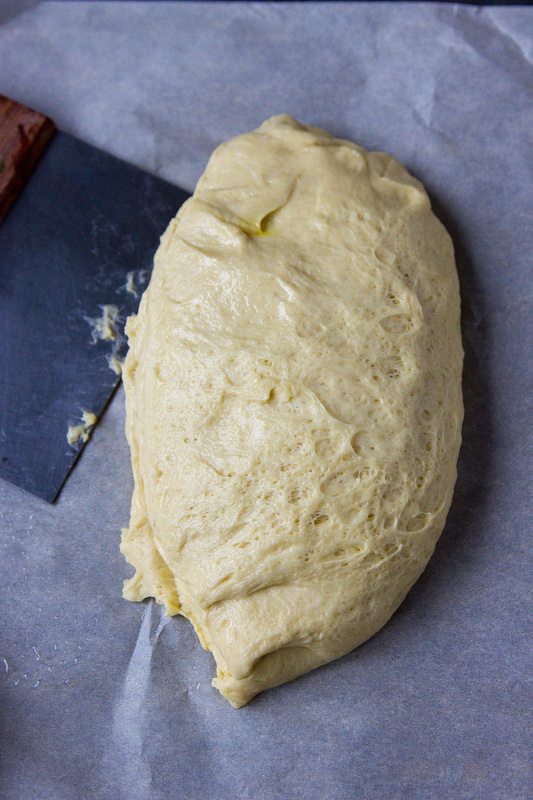 Once the dough has come together nicely, place on a well floured surface and knead by hand, adding a bit of flour if necessary until no longer sticky. Place the dough into a large oiled bowl. Cover with plastic wrap and place in the refrigerator overnight. Or if baking the same day, set aside at room temperature until doubled in size, about 2 hours. Next day remove from the refrigerator. Divide the dough into 2 equal parts. Working with one mound at a time, divide it into 3 equal balls. Divide each ball in half for a total of 6 balls. 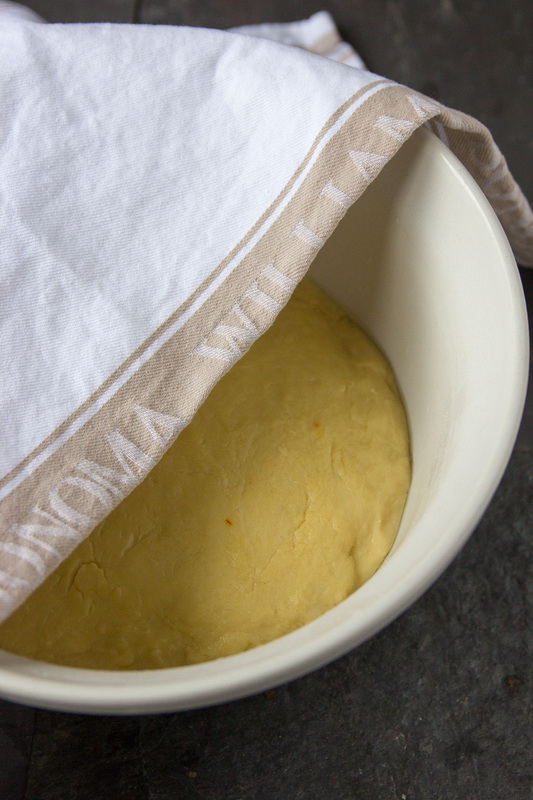 Place on a parchment lined baking sheet and cover with a damp kitchen towel. Repeat with second loaf. Set the loaves aside at room temperature to rise a second time for about 45-60 minutes. 20 minutes in, preheat the oven to 375F and place the rack in the center. Brush the loaves with an egg wash, 1 egg yolk mixed with a tablespoon of water. 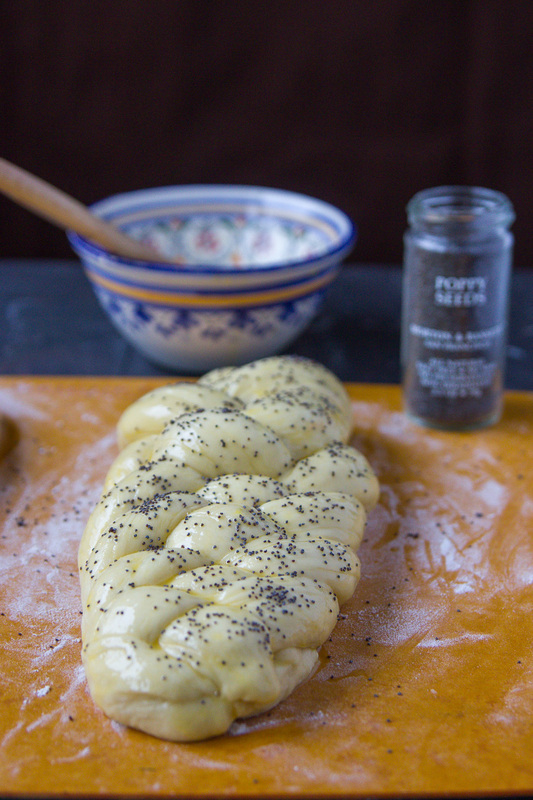 Sprinkle poppy seeds over the loaves if desired. Bake at 375F for about 20-25 minutes until the loaves are golden and sound hollow when tapped.